Feel like an ace passenger by staying at our tastefully decorated executive rooms. The air-conditioned Executive room is equipped with facilities for gracious hospitality. 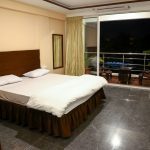 The tastefully appointed room covers an area of 235 sq.ft. Refresh yourself at our fully equipped bathroom which has a shower cubicle, hair dryer and a range of toiletries. The other amenities like safety locker, mini bar, tea/ coffee maker, laundry service, ironing board will make your stay hassle free. The room also has access to free wifi and is equipped with an LCD TV with cable and international satellite channels. 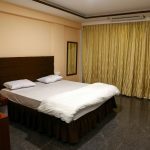 We have an array of different but equally comfortable and splendid rooms for your needs.